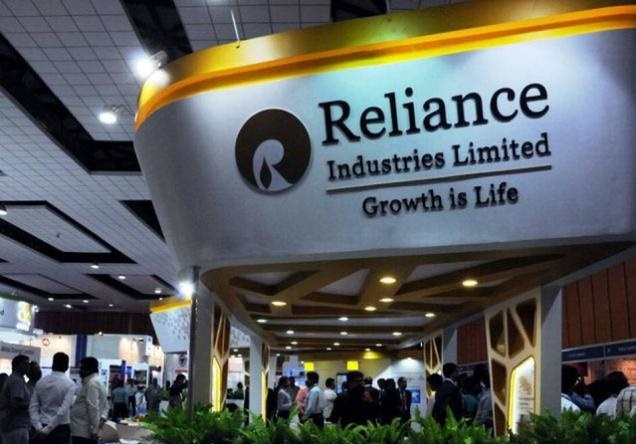 Reliance Industries Ltd (RIL) became the first Indian firm to cross Rs.6 trillion market capitalisation after its shares surged over 75%. Currently, its market cap is at Rs.6.02 trillion. Since April, RIL has added nearly Rs. 3 trillion to its market capitalization after Jio started charging customers for services that had earlier been free. Andhra Pradesh Chief Minister N. Chandrababu Naidu has awarded with the 'Golden Peacock Award' in London for his excellence in public service. He received the award at 17th London Global Convention under the “Global Leadership in Public Service and Economic Transformation” category. Naidu's wife and Managing director of the Heritage Foods Nara Bhuvaneswari also received the award under the category - Corporate Governance and Sustainability. The Golden Peacock Award is instituted by the Institute Of Directors (IOD), India in 1991. The award claimed to be regarded as a benchmark of corporate excellence worldwide. Earlier eminent recipients of the award are - Anti-corruption crusader Anna Hazare, Agricultural Scientist M S Swaminathan, Odisha Chief Minister Naveen Patnaik and former Delhi chief minister Sheila Dikshit. Veteran theatre actor-director Ram Gopal Bajaj is selected for Kalidas Samman 2017 for his work in the field of theatre. The award is instituted by the Madhya Pradesh government. The award will be presented on 31st October at the All India Kalidas Festival in Ujjain. Ram Gopal Bajaj was a former Director of the National School of Drama. He has played an important role in organising prestigious theatre activities like NSD's Bharat Rang Mahotsav and has worked in plays like "Surya Ki Antim Kiran Se Surya Ki Pehli Kiran Tak", "Skandagupta", "Qaid-e-Hayat" and "Ek Din Ashad Ka". He has also translated Girish Karnad's play "Rakt Kalyan" in Hindi. Burundi has become the first country to withdraw from the International Criminal Court. The country has made accusations that the International Criminal Court focuses too much on the continent. Burundi is the only one of three African nations to go ahead with withdrawal. South Africa’s withdrawal was revoked in March. Gambia’s new government reversed its withdrawal in February. The capital of Burundi is Bujumbura. Pierre Nkurunziza is the President of Burundi. The ICC was set up in 2002 and its headquarter is in The Hague, Netherlands. President of ICC is Silvia Fernández de Gurmendi. The ICC now has 123-member states. The ICC began functioning on 1 July 2002, the date that the Rome Statute entered into force. The Rome Statute is a multilateral treaty which serves as the ICC's foundational and governing document. The Australia’s High Court disqualified the deputy Prime Minister Barnaby Joyce for holding dual citizenship. In August, Barnaby Joyce renounced his dual New Zealand citizenship and said he would stand in the by-election, which is likely to be held in early December. Spain dissolved Catalonia's parliament and called new regional elections after separatists voted for independence in a sharp escalation of a constitutional crisis that has stoked alarm in Europe. Germany, France, European Union, USA and Britain also rejected the notion of Catalan independence while the United Nations urged all concerned to seek solutions within the framework of Spanish constitution. Catalonia is a region in the north-eastern extremity of the Iberian Peninsula. Its constitutional status is the subject of a dispute between the Kingdom of Spain. Generalitat de Catalunya views it as an independent republic following a unilateral declaration of independence from Spain on October 27, 2017. Sangram Dahiya and Amanpreet Singh won a silver and a bronze each in the International Shooting Sports Federation (ISSF) World Cup Final in New Delhi on October 27. Sangram shot 76 out of 80 targets, three behind gold medallist Hu Binyuan of China. Amanpreet finished behind gold medallist Damir Mikec of Serbia and silver winner Oleh Omelchuk of Ukraine. Puducherry has now become the associate member of BCCI. The Committee of Administrators (COA) selected Cricket Association of Puducherry (CAP) as an associate member of the BCCI. Now, Puducherry can also now host both international matches and the Board’s domestic games. Vrindavan & Barsana is now sacred sites: UP Govt. Vrindavan and Barsana towns in Mathura district has now become the sacred pilgrimage sites. Recently, the Uttar Pradesh government issued an order notifying Vrindavan and Barsana district as “sacred pilgrimage sites”. No meat and liquor shops will be allowed in these towns anymore. The state government recently merged Vrindavan, a former Nagar Palika Parishad, with the Mathura municipal board to create Mathura Nagar Nigam. The Govt of Karnataka has announced that it has signed a Memorandum of Understanding (MoU) with the Microsoft Corporation India Private Limited, to empower smallholder farmers and lift their fortunes. The collaboration aims to enable these farmers with technology-oriented solutions that will help them increase income using ground-breaking, cloud-based technologies, machine learning and advanced analytics. Microsoft in collaboration with the International Crops Research Institute for the Semi-Arid Tropics (ICRISAT) has deployed a Sowing Advisory Service in the kharif season on a limited pilot, under the Bhoochetana project. The mission project on rainfed agriculture called “Bhoochetana” was launched by the Government of Karnataka during 2009-10 to benefit dryland farmers in 30 districts. The principle of consortium, convergence, capacity building and collective action as proposed by ICRISAT to address the issues of efficiency, economics, equity and environmental protection was adopted. ICRISAT and the Department of Agriculture which is the nodal agency for the mission project. The Asian Development Bank (ADB) and the Government of India signed a $65.5 million loan agreement to continue interventions to check coastal erosion on the Western Coast in Karnataka. The program has introduced innovative techniques for managing coastal erosion that will ultimately benefit local communities, and would also help address concerns pertaining to the climate change. The project will consist of eight coastal protection subprojects to address the issues of medium to severe coastal erosion resulting in protection of about 54 km of coastline in Karnataka.